Brought to you by the trusted For Dummies brand, this kid-focused book offers step-by-step instructions and simple explanations for completing projects that will teach your child invaluable new skills—all while having a ton of fun! 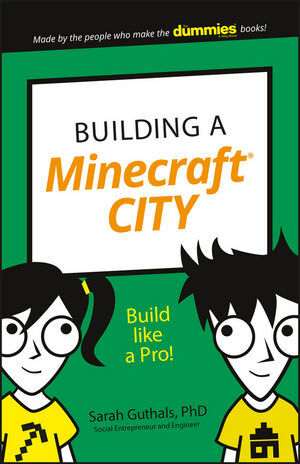 They'll gain confidence as they design and build truly impressive Minecraft structures, and you'll delight in watching them develop and refine their problem-solving skills as they work on their own. It's a win-win! Screen time can be as educational as it is fun, and this book shows your child how to approach their favorite game from a new angle to think—and do—outside the box. Sarah Guthals, Ph.D, has dedicated her life to coding education. She loves to teach teachers how to use Minecraft in the classroom, and wishes she could teach her cats how to play Minecraft too!